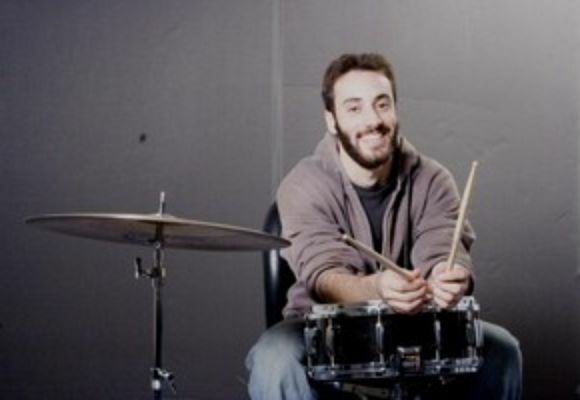 Joe Truglio is a young drummer/composer who is making a name for himself in the music scene. He has been playing professionally for over 10 years and is featured with groups ranging in many different styles including Jazz, Rock, Funk, Blues, R&B, and Latin. He has performed in a variety of different venues along the east coast as well as over seas. Most recently Joe has appeared at The Blue Note, Smalls, Cape May Jazz Fest, Willingboro Jazz Fest, The Kimmel Center, The Electric Factory, Theater of the Living Arts, World Café' Live, and The Prince Theater, with regular engagements at Chris's Jazz Café', Ortlieb's Jazz Haus, Zanzibar Blue, Marmont Steakhouse, and the Brio Tuscan Grill. After graduating from The University of the Arts in 2005, Joe began performing full time in and around Philadelphia, PA. He soon picked up a weekly engagement with pianist Eric Wortham at Philadelphia's then premier jazz club, Zanzibar Blue. From March through May 06' the group performed six nights a week at The House of Blues and Jazz in Shanghai, China. Upon their return, the group continued their weekly shows until May of 07'. The Joe Truglio Trio and Quartet can be heard in NYC and Philadelphia performing Joe's original music which is a modern blend of Jazz, Latin, and Rock.